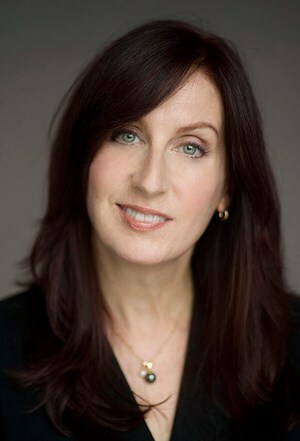 Maryn McKenna is an independent journalist and author who specializes in public health, global health and food policy. She is a columnist for WIRED, a Senior Fellow of the Center for the Study of Human Health at Emory University, and the author of the 2017 bestseller Big Chicken: The Incredible Story of How Antibiotics Created Modern Agriculture and Changed the Way the World Eats (National Geographic Books, Sept. 2017), which received the 2018 Science in Society Award, making her a two-time winner of that prize. Big Chicken was named a Best Book of 2017 by Amazon, Science News, Smithsonian Magazine, Civil Eats, the Atlanta Journal-Constitution and the Toronto Globe and Mail; an Essential Science Read by WIRED; and a 2018 Book All Georgians Should Read. Her 2015 TED Talk, "What do we do when antibiotics don't work any more? ", has been viewed 1.7 million times and translated into 34 languages. She has reported from epidemics and disasters, and farms and food production sites, on most of the continents, including a field hospital in New Orleans during Hurricane Katrina, a Thai village erased by the Indian Ocean tsunami, a bird-testing unit on the front lines of West Nile virus, an Arctic graveyard of the victims of the 1918 flu, an AIDS treatment center in Yunnan, a polio-eradication team in India, breweries in France, a “Matrix for chickens” in the Netherlands, and Midwestern farms devastated by the 2015 epidemic of avian flu. She is a columnist for WIRED and writes for The New York Times Magazine, The New Republic, Smithsonian, The Atlantic, NPR, Newsweek, WIRED, Scientific American, Nature, The Guardian, Eating Well, Eater, and numerous other magazines and sites. Her work has been anthologized in The Best Science Writing Online (2012) and The Best American Science and Nature Writing (2014), and twice in The Dirt: Dispatches from the Front Lines of Food and Farming (2016 and 2018). She is the creator of the site Today in Ebolanoia, which has been cited in medical and biodefense literature for documenting public overreaction to disease threats, and her work has also appeared in the Annals of Emergency Medicine and the Bulletin of the History of Medicine. She received the 2019 John P. McGovern Award for Excellence in Biomedical Communication, the 2014 Leadership Award from the Alliance for the Prudent Use of Antibiotics, and the 2013 Byron H. Waksman Award for Excellence in the Public Communication of Life Sciences. Her piece for Modern Farmer on the beyond-organic farm White Oak Pastures received a first-place award from the Association of Food Journalists, and her essay for the Food and Environment Reporting Network, "Imagining the Post-Antibiotics Future," was a finalist for a James Beard Foundation Media Award and has been republished in Russian, Norwegian and French. She also shared the 2015 AH Boerma Award from the Food and Agriculture Organization of the United Nations as one of the writers for National Geographic’s food-writing site The Plate, part of the magazine’s year-long Future of Food project. She appears in the 2019 documentary Resistance Fighters and the 2014 documentary Resistance; has presented at the United Nations, U. S. Centers for Disease Control and Prevention, and European Centre for Disease Prevention and Control about the need to curb antibiotic misuse in medicine and agriculture; and is a frequent public speaker and radio, podcast and television guest. From 2012 to 2019, she was a Senior Fellow of the Schuster Institute for Investigative Journalism at Brandeis University. In 2018, she was a TEDxYouth speaker in Cape Elizabeth, Maine, and in 2014, she was one of the organizers of the Women in Science Writing Solutions Summit, held at MIT. She currently is the Journalism Advisor to the Logan Science Journalism Program at the Woods Hole Marine Biological Laboratory, a member of the program committee for the 2019 World Conference of Science Journalists in Lausanne, and a five-term member of the board of the Association of Health Care Journalists. Her earlier books are Superbug (Free Press/Simon & Schuster 2010), on the international epidemic of drug-resistant staph in hospitals, families and farms, which won the 2013 June Roth Memorial Book Award from the American Society of Journalists and Authors and the 2011 Science in Society Award given by the National Association of Science Writers; and Beating Back the Devil: On the Front Lines with the Disease Detectives of the Epidemic Intelligence Service (Free Press/S&S 2004), the first history of the CDC’s Epidemic Intelligence Service, for which she embedded with the corps for a year. Beating Back the Devil was named one of the Top Science Books of 2004 by Amazon and an Outstanding Academic Title by the American Library Association.